FEX has committed to supporting the FEX PAGs across Canada, and the PAG Coach role was created to continue these initiatives. The Coach will participate in three of the PAG meetings and will provide the group members with on the spot training and guidance on how to get the most our of their PAG meetings. FEX continues to offer training for the members through our “Elevate the Experience” half-day member training program and the PAG Fundamentals Program. These opportunities are provided to PAG members to enhance their own growth and development and allows for further networking with other FEX PAG Members. Who are the FEX PAG Coaches? PAG Coaches are a new support available to FEX PAGs across Canada. They are secured and trained by FEX to aide your meetings. They have agreed to our FEX policies of creating and ensuring a safe-harbour for FEX families. They are professionally trained, educated on FEX PAG protocols and guidelines and are supportive of FEX and our initiatives. They are available to support your FEX PAG by reviewing or creating your Charter or Constitution, demonstrating the behaviour and qualities of the Moderator, identifying crucial roles in your FEX PAG, modeling good communication and listening techniques, and much more! Each regional area has access to one or multiple PAG Coaches who are local and understand the uniqueness of your community. New FEX PAGs will be provided with a PAG Coach for the initial three meetings, starting the group off on the right foot. They will model the behaviours of a strong Moderator and will assist the group in identifying the Moderator for their own group. They’ll equip the group with the agenda, protocols and policies to ensure the FEX PAG will flourish once the Coach has completed the service. Established FEX PAGs can request the support of the PAG Coach by connecting with the FEX PAG Manager Leah DiRenzo. These FEX PAGs may want additional assistance to get themselves back on track, ensuring they continue to receive the benefits from their PAG. They may have strayed from their agenda, require support with their PAG processes and protocols, or need additional training with the Moderator role. FEX membership dues and a group consensus to use the service. To ensure the PAG Coaches continue to offer beneficial services to our members, a unanimous survey will be provided to FEX PAG members who access this support. We will continue to invest in the FEX PAGs to ensure the program remains beneficial for its members and that the members themselves continue to grow personally and professionally. Connecting As a connector of people and conversations first, Marc speaks, facilitates, and coaches individuals, leaders, and teams globally about the power of conversations and who we need to BE to inspire ourselves and those around us. An entrepreneurial spirit, creating shifts in how we connect, Marc is recognized and acknowledged for his unique and innovative approaches to connecting people and organizations to the meaning of their work. He has an insatiable curiosity, entrepreneurial mindset, and an ability to see the possibilities through the connection of ideas, people, and conversation. Marc has more than 25 years’ experience in coaching and leadership development at the corporate, international level in business and sport. Marc is an Associate Faculty member at Royal Roads University, instructing in Coaching and Workplace Innovation. Outside of this work with Royal Roads University, Marc works with mid-career individuals and leadership teams around the globe in the fields of oil and gas, education, health care, accounting, and construction. Inspirational Marc’s key point of difference is that he creates each presentation, engagement, or training to the client’s needs. Its what makes his sessions real, serve clients needs with purpose and with tangible results. Marc is a unique presenter and speaker whose creative spirit and experiences bring fresh ideas that challenge the traditional thinking of his audiences. With over 25 years of experience, you can be sure you will witness and participate in something that will be fun, thought provoking, challenge your current reality and your approach to create results that shake up life! After all, staying fresh and current keeps us relevant and enjoying life! 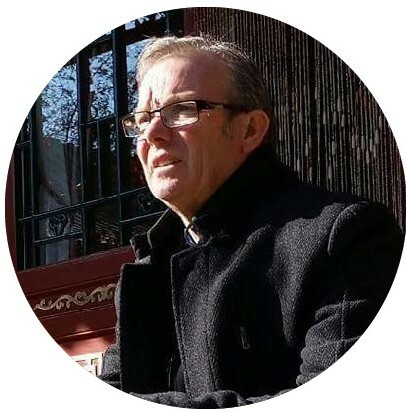 Marc holds a Professional Certified Coach credential from the International Coach Federation, a Bachelor of Education from the University of Victoria (2000) and has a Graduate Certificate in Executive Coaching from Royal Roads University (2004). Marc is an ICF certified Professional Mentor Coach through Royal Roads University (2015) and is a graduate of the National Coaching Institute for High Performance Sport (1988). Marc is licensed to facilitate 5-5-5 Coaching Out of The Box, the EBW (Emotions and Behaviors in the Workplace) Assessment tool, and, is a Conversational Intelligence® Enhanced Skills Coach. In a former life, Marc was an Educator, athlete, high performance sport coach, and electrician apprentice, describing his years as an “apprenticeship” into the field of leadership, executive coaching and the world of entrepreneurship and philanthropy. Marc is now a “repurposed athlete” and can be seen cycling his road bike around Penticton, the Okanagan and training to ride 400km’s in one day with the Ride2Survive Cancer Ride and cycling for Just Giver 4PD - a group dedicated to education and research in finding a cure for Parkinson’s. " "As I enter into the FEX family, I am honoured, excited and energized to be able to learn what matters most to you, share and support you in making "it" happen as we strive together in creating ideas that connect and sustain the fascination in your business. This journey is about igniting the adventure that led us all here - let's do this!" Within every family business is a unique, secret weapon that when leveraged properly, ensures success, longevity and an invincible competitive advantage. Victoria Brown is fiercely committed to guiding family businesses to grow their Famili-ness Factor and move past constraints so the can prosper, maintain family harmony and thrive over generations. If you are looking for a proven professional who can help you realize your vision, enhance communication and leadership capabilities, while implementing effective systems for succession, you’ve come to the right place. Over the past 7 years, Victoria has helped leaders and family businesses transition with concerns about how to grow the business, maintain family harmony, preserve their wealth and enjoy life while making crucial decisions. What sets her apart is her experience, training and perspective. She grew up with an entrepreneurial father, has had decades in marketing and business development and presently is the matriarch of a family business and founder of her own business. She is passionate about helping others understand and align with their natural gifts, developing leaders and assisting founders discover their legacy and significance in one of their most important phases of their life. She has developed the 10X Business Family Builder program that helps prepare the business and its future leaders for growth while creating continuity with conversations, systems and processes. She supports legacy and harmony by setting up support mechanisms to build trust, clarify roles and responsibilities, goals and tapping into the wisdom of each unique family. Her 30-year professional experience includes consulting to family firms, executives and businesses helping generate millions in revenue, developing leaders and problem solving. She also has extensive corporate, marketing, sales and retail experience. She is a strategic thinker, a skillful facilitator and a conscious communication catalyst that enhances connection and helps business families get beyond procrastination to a shared vision that supports everyone’s needs. A Family Enterprise Advisor and coach with multiple certifications and a dedication to lifelong learning, she designs strategies, mastermind sessions, facilitated retreats, workshops, and leadership programs around the requirements of each individual and group. "I’m delighted at the opportunity to support PAG members. I know how valuable a peer advisory group can be for support, perspectives and insight to actively make progress towards goals, leap over obstacles and feel more inspired. Most importantly, to have a group of people who are fully committed to your success, happiness and fulfillment is magic! I look forward to meeting you and supporting your group." Kathy Burns is a management consultant who specializes in the areas of strategy, leadership and entrepreneurship. In 2005, she founded Burns Strategic Consulting Inc. and has served clients from the technology, education, property management, retail, professional services and not-for-profit sectors. Kathy is also a contract faculty member at Brescia University College where she teaches leadership and entrepreneurship to undergraduate students. She has volunteered on national, regional, municipal and community boards and has volunteered as a mentor to Ivey Business School students. Kathy has a Bachelor of Arts degree from the University of Western Ontario and an MBA from the Richard Ivey School of Business. Upon completion of her MBA in 1993, Kathy founded Garlic’s Restaurant which she operated until 2000. Although no longer a restaurateur, Kathy is an avid cook and foodie. "Working with family businesses has been extremely rewarding. It has allowed me to engage with like-minded individuals who value entrepreneurship, collaboration and family. I look forward to the possibility of working with the PAGs of Southwestern Ontario." For over 20 years, Deena has worked as a consultant, coach and counsellor with people and organizations seeking meaningful change. Trained by world-renowned leaders in the fields of psychology and organizational development—including Virginia Satir and William Bridges—she draws from a broad repertoire of skills to produce sustainable outcomes for each client. In particular, Deena blends her training and experience in family counselling and management consulting to serve the unique needs of family enterprises. Her rare skill set enables her to strengthen family businesses on a strategic level, while ensuring that healthy interpersonal dynamics support a firm’s continuity and prosperity. As a family facilitator, Deena works with multi-generational families who seek the tools and techniques to make smart decisions manage conflict effectively and develop strong, lasting relationships. She also serves legacy families of wealth who manage the many complexities of inherited responsibility and privilege. Deena is a graduate of the FEA Program at the UBC Sauder School of Business and has earned the official designation of Family Enterprise Advisor™, as awarded by the Institute of Family Enterprise Advisors (IFEA). In addition to family enterprises, Deena’s consulting clients include privately owned companies, nonprofits and public sector organizations. Within her practice, she coaches executives and their leadership teams with a focus on emotional intelligence, organization strategy, human resources and change and transition management. She then works with leaders to design and facilitate strategic, organization-wide initiatives that enable them to achieve their goals. Laurel specializes in succession planning, next gen leadership development and dealing with family dynamics. 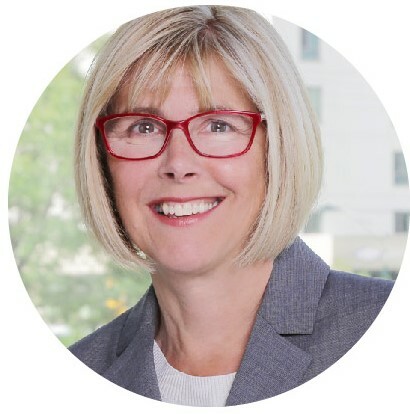 Prior to consulting, Laurel spent many years in an executive position in her own family business, a 60 year-old construction company based in Hamilton, Ontario. Laurel has studied, worked, volunteered and travelled across the globe. Her formal education includes a Masters of Education, an International MBA, and a FAMILY ENTERPRISE ADVISOR™ certification from the Institute of Family Enterprise Advisors. Laurel is a writer and regular presenter on various topics related to family businesses. "Excited to be a part of this new initiative and I look forward to supporting PAG members in their continued development." 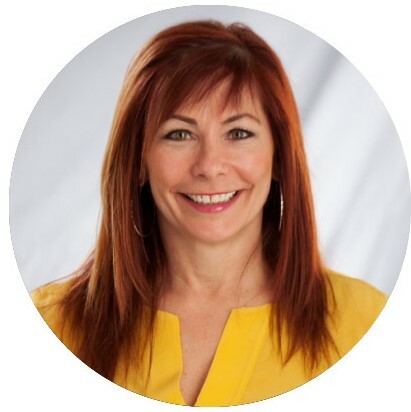 Lorraine Lawrence is CEO and principal coach at Renew Coaching and Consulting, Inc. Lorraine has twenty years of experience facilitating leadership development workshops and providing one to one leadership coaching. 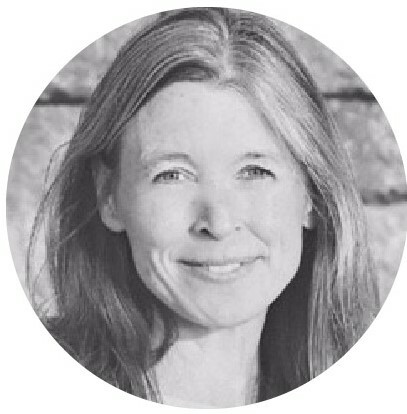 She is an Organizational Development specialist and an ICF ACC Certified Executive Coach from Royal Roads University. 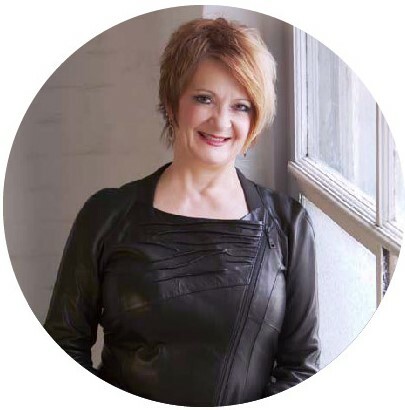 Lorraine leads talent management strategies in executive coaching, leadership development facilitation, performance management and workforce planning, succession strategy, top-talent identification, hi-potential development and global employee engagement. In 2016 Renew Coaching and Consulting won an ICF Prism Award for Coaching and Leadership Development. Val has worked in the field of human dynamics and family business systems for over 35 years. As someone who grew up in a family business, she has firsthand appreciation of the incredible energy and commitment that goes into a family business, succession planning and leadership development. 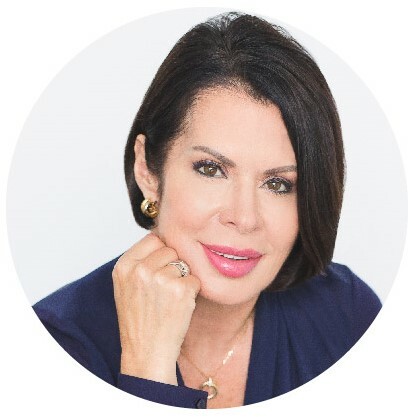 Val has offered her professional expertise as a family business advisor, leadership coach, mediator and communication facilitator to businesses, organizations, families and individuals throughout Canada, United States and Mexico. 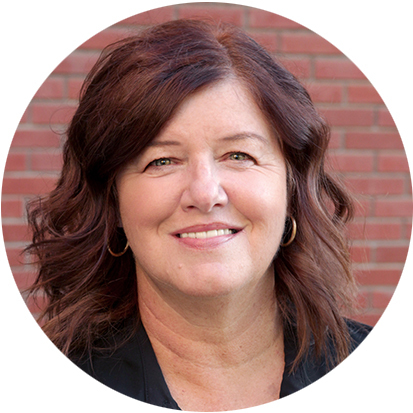 She is an advisor and facilitator with the Alberta Business Family Institute and has designed and delivered programs for Business Families Foundation. With her combined expertise in family business systems, organizational learning, leadership, and psychology, Val possess a unique ability to integrate a diverse range of knowledge, skills and experiences. Clients have referred to her as “the best insurance policy we could have invested in” and “our vision keeper who supports our mission”. As a true entrepreneur, in 2016 Val started an additional business with her husband Ted. Together, they own and operate "Monk's Lake Place" located in Lake of the Woods. It is a beautiful lakeside destination for private retreats that focus on workshops for personal and professional development, family business education, couple and family relationships, and therapeutic counselling. "I am excited to be part of the PAG Coach community that FEX has launched. Since 1996, I have had the opportunity and privilege to be in a Personal Advisory Group. My PAG experience has been invaluable to me on so many levels. I am humbled to be welcomed into your PAG to share and learn together, enhancing the value of this program. I look forward to supporting your PAG experience. " As a Communication Specialist, Trudy enables business families to grow and succeed by connecting family members to what really matters to them. Expanding communication effectiveness and listening levels, while developing governance and process unites families as they create new futures. Trudy facilitates difficult conversations for legacy, succession, and continuity planning such that business families resolve emotionally charged issues and are empowered to navigate the complexities to make decisions through and for transition. "I am pleased to be a member of the FEX Personal Advisory Group Coach Community, supporting members to have an extraordinary experience." Michael is a second generation member of his family’s accounting firm working alongside his Dad. He is specially attuned to family dynamics as he is not only a member of a family business himself but has also been a member of a Peer Advisory Group since 2015. Michael has moderated his PAG since 2017. 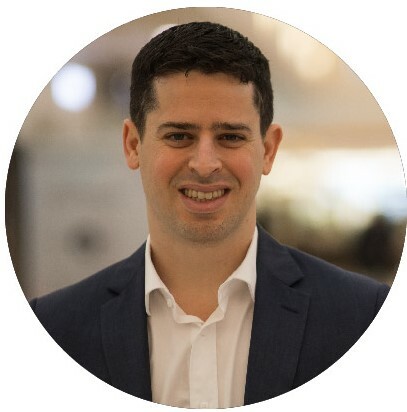 Michael holds various designations including his Family Enterprise Advisor (FEA), Chartered Accountant as well as the Trust and Estate Practitioner (TEP) amongst others. Completed the multiple moderator training programs offered by FEX as well as his FEA. 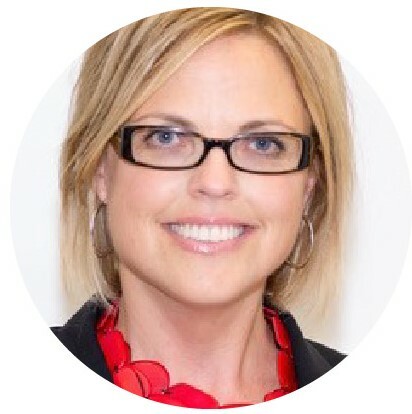 Holly Simmons is a FAMILY ENTERPRISE ADVISOR (FEA™) who provides coaching, facilitation and educational services to successful family businesses looking to discover their true north, articulate shared values, improve communication and create a legacy together. 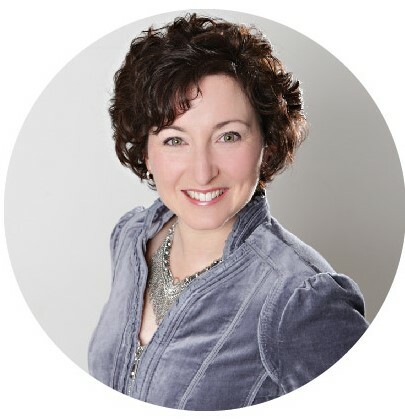 Holly Simmons hold an Honors Business Marketing Management Diploma from Fanshawe College and is an independent Certified Coach, Teacher and Speaker with John Maxwell Team. Before starting her own business in 2008, Holly spent 8 years working in the technology sector. Holly’s business has evolved over the years to meet the changing needs of her customers. She works with a wide range of family businesses to help them articulate their brand values, build trusted relationships and develop leadership skills. Industry knowledge includes manufacturing, technology, service companies, luxury goods, hospitality, franchisees, and e-commerce. "I'm delighted to have the opportunity to work with Central Ontario PAGs. I look forward to supporting and providing guidance to members through their PAG experience." Facilitated a Family Business Leaders Peer Group for a year and a half with monthly meetings, guest speakers, and hot topic discussions. Provided framework, teaching topics and mid-month educational resources for the group. Work with a number of successful multi-generational family business to help family members understand their roles, expand their communication tool kit and raise their level of leadership. Provide coaching, training, facilitation and thinking partner services. 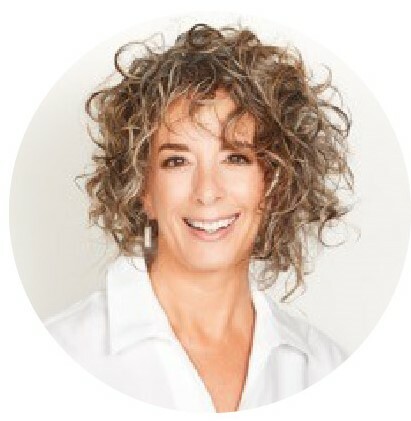 Julie Westeinde is the founder of Breakthrough Learning Connections. She has contributed to transformational change processes around the world; working the interdependence between strategy, culture, multi-stakeholder engagement, leadership, learning, and conscious communication development with edgewalking individuals, teams, organizations and communities for 30 years. She holds a Bachelor in Biochemical Engineering from UWO, and an International Masters in Business Administration from Institut Superieur de Gestion (a multi-campus MBA working, living, and learning in Paris, New York, Tokyo, Ecuador, and China). Her ways are also informed by compassionate communication, the wisdom teachings of indigenous culture, NIA dance, and OnePlanetLiving. She pioneers the application of a living systems lens and creative conversations to strategy, leadership, executive and life coaching, and culture development to awaken a simpler, holistic and more sustainable way of being, and doing and communicating good work in the world. Her pioneering work re: social innovation and conflict evolution for social and environmental sustainability in contexts including urban development, the global textile industry, and First Nations engagement was recently shared at the International Organizational Development Conference in Atlanta, Georgia. "What a privilege it is to be involved in the development of a new PAG group; experiencing the powerful learning, support and breakthroughs that come to life for PAG members! "